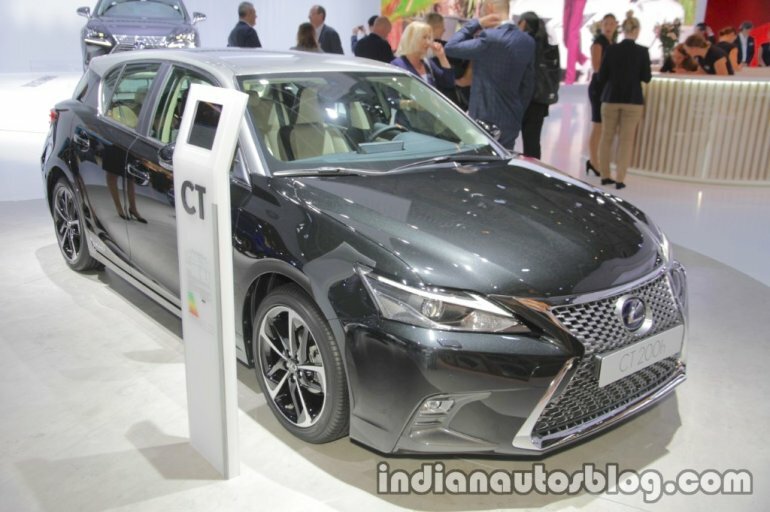 The 2018 Lexus CT 200h has been showcased at the 2017 Frankfurt Motor Show. Here are the live images of the compact hybrid hatchback from the show. For the 2018 version, the CT 200h gets an aggressive front fascia, thanks to the signature spindle grille which dominates the front bumper. The ‘arrowhead’ DRLs have been repositioned above the single-projector headlamps. The tail light is all-LED. The CT 200h comes in new two-tone exterior paint schemes, and new colours for the performance oriented F Sport model: Lava Orange CS (Crystal Sunshine) and Heat Blue CL (Contrast Layering). Visually, the F Sport gets a black metallic paint on the grille, different bumper mesh pattern and black trims on the bumpers. On the inside, the CT 200h features a Lexus Navigation System with a 10.3-inch wide display screen. The F Sport variant gets two-tone leather interior; and a Naguri ornamentation, which showcases the Takumi craftsmanship. The two cars employ a 1.8 litre inline four cylinder VVT-i engine that produces 98 PS of power at 5,200 rpm and 105 Nm of torque at 4,000 rpm. 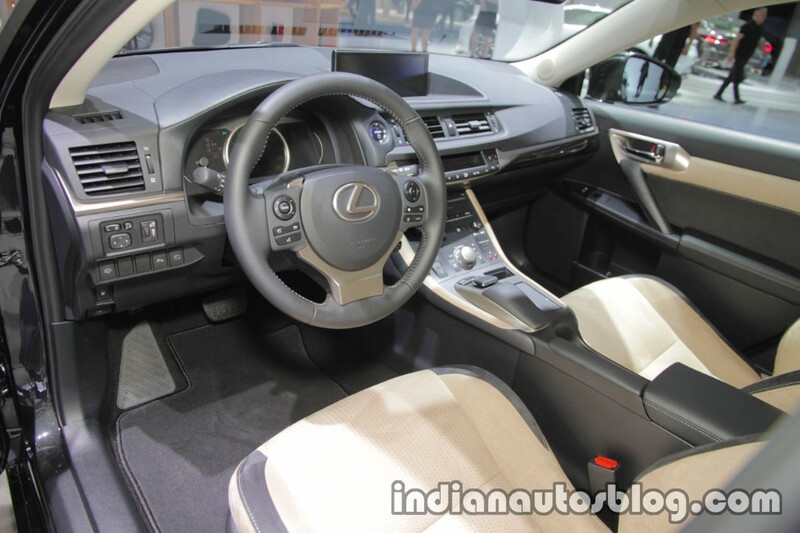 The engine pairs with a Lexus Hybrid Drive Electric motor with EV mode. The cars are RWD, and the transmission is an electronically controlled CVT unit. The claimed combined fuel efficiency stands at 17.8 kmpl. There are two drive modes- Normal and Eco for enhanced efficiency. Coming to the safety bits, the car features Lexus Safety System + which includes Pre-Collision System (PCS); Dynamic Radar Cruise Control; Lane Departure Alert (LDA) with steering wheel control function and Automatic High Beam (AHB) headlights. Road Sign Assist (RSA) is available as an option.